The Patriot Power Hour isn’t about pushing an ideology or staying within the false Left/Right paradigm. Instead, host Ben ‘Lucifer Bernanke’ Cochran exposes corruption and fraud through analytics, deep research, and plain common sense. 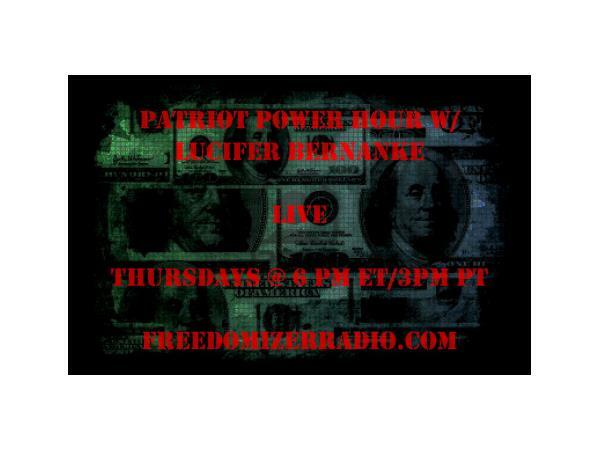 Listen Live at www.FreedomizerRadio.com --- or go to www.BlogTalkRadio.com and search "Freedomizer Radio" or "Patriot Power Hour" --- you can also listen via phone by calling (347) 324-3704 --- press 1 on your phone at any time to speak with the host!